We love Disney in this household, not a day goes by without us watching a Disney film and we are even planning a Disney-themed bedroom for are little two when we move. I have loved Disney ever since I was a little girl who went to see the Little Mermaid at the cinema (showing my age) and visited Disney world Florida as a child. My teen and two toddlers love Disney just as much as I do, we are even planning a trip to Disney world in a few years - once the little two are old enough. Each year I buy my children a Disney ted each and last year they also got the rather cute little soft Tsum Tsum teds in their stockings too. These were huge hits with my two girls, they loved them so much that they now collect them. 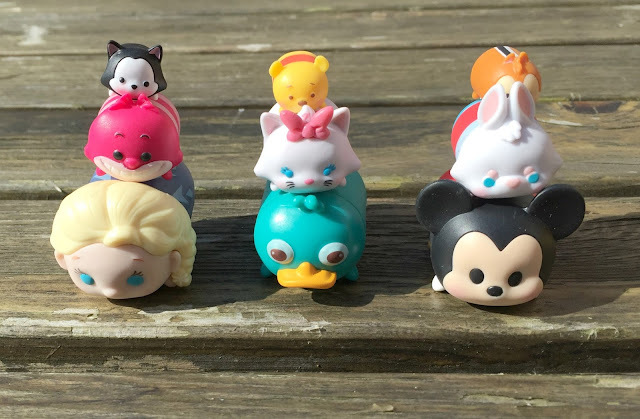 Recently Jakks Pacific have launched new vinyl Tsum Tsum toys in a range of much loved Disney characters and we were lucky enough to be sent some to review. We were sent a Disney Tsum Tsum 3 pack (RRP £4.99) which contains one large, one medium and one small figure which are perfect for stacking on top of one another. We were also sent the Disney Tsum Tsums 9 pack (RRP £14.99) this set contained three small, three medium - one of which is a mystery and three large figures. In this set two of the figures are exclusive and one is a mystery figure wrapped up, so you don't know which it is until you open it. In the small pack, we received a large Mickey Mouse, medium Alice, and small Winnie the Pooh. My three year old loved stacking these and knew who all the characters were instantly. 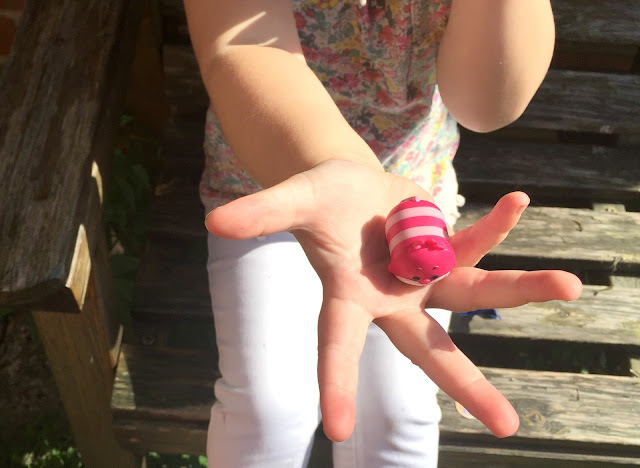 These toys are recommended for children aged 6+ due to the small ones being so tiny but she loved playing with them. My teen also loves them and wants to keep them on display in her bedroom. In the bigger 9 pack, we received another small Winnie the Pooh, Dale (the chipmunk) and Figaro (from Pinocchio). We got a medium Marie (aristocats) a White Rabbit (Alice in Wonderland) and we also had a medium surprise figure, which was wrapped up. My daughter had great fun opening this one, as you can see in the video below it was the Cheshire cat - also from Alice in Wonderland. The three large figures were another Mickey Mouse, Elsa and Perry (Phineas and Ferb). My girls really liked that you can stack these toys on top of each other and they love the whole look of these vinyl Tsum Tsums. My three year old has played with these nonstop for the last week, making up little games with her princess dolls and the Tsum Tsums. They are great for either collecting and displaying in your room like my teen has as well as being tons of fun to play with like my three-year-old does. Like most children, my girls loved the surprise element of having the mystery character in the 9 pack too. We really liked these little Tsum Tsum toys, they are extremely cute and so much fun to stack and play with. I also think that they are really great value for money too and would make a brilliant stocking filler gift idea for Christmas, I am already planning on getting both my girls a packet each for their stocking this year. If you know a Disney fan then I am sure they will love these adorable Tsum Tsum just as much as my two Disney mad fans did. 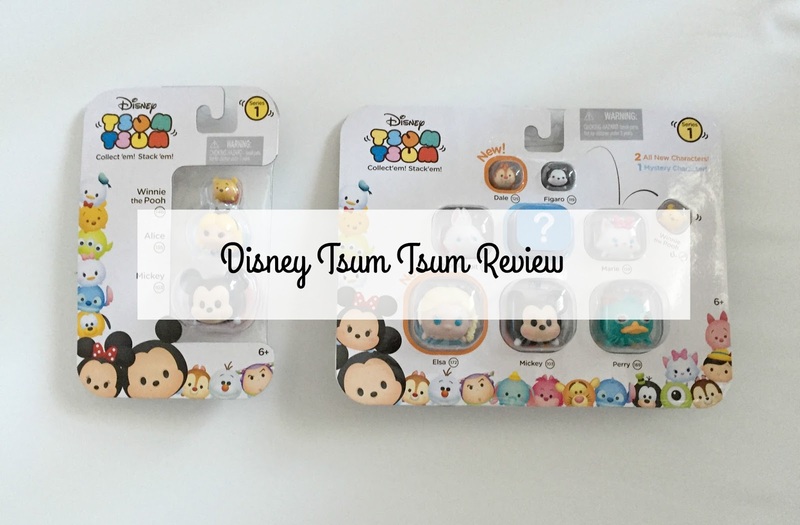 Disclosure We were sent these Tsum Tsums for the purpose of this review, however, all opinions are my own. Oh how sweet are your collection. I love that they do them in vinyl I only have the soft ones. Great post this!! These toys are just everywhere at the moment and I think they will do really well over Christmas as a little stocking filler!! 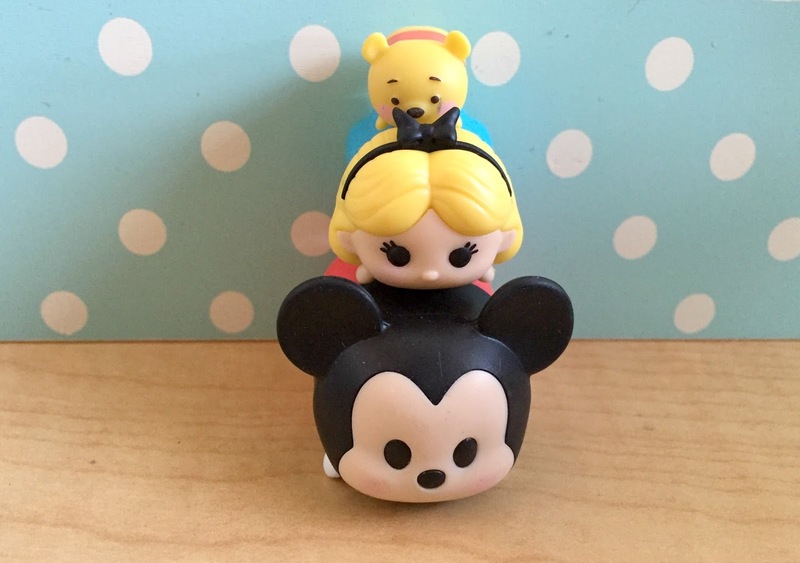 I've never heard of them before, but tsum tsums are too cute! Little man would love them! Fab post. These toys are super cute. These are a great idea for a stocking filler! I must remember them !! These are adorable, I am busy collecting them for Santa! oh my, these are beyond sweet!! My daughter loves them. We have teddies all over. I don't think she has seen these though! We've had a few of these and they are super cute, and very collectable.